The Poppy Plaid bedding ensemble's focal point is a lovely large print of oversized poppies on a white back ground. The reverse is in a coordinating large charcoal color plaid. Set consist of: Duvet Cover 110"x96" & 2 King Pillow Shams. Face fabric content is 90% Cotton/10% Linen. Dry clean recommended. Other sizes in this item are also available. Purchase coordinating bedskirt, euro shams, throw pillows and window treatments separately. Made in the USA by Colcha Linens. 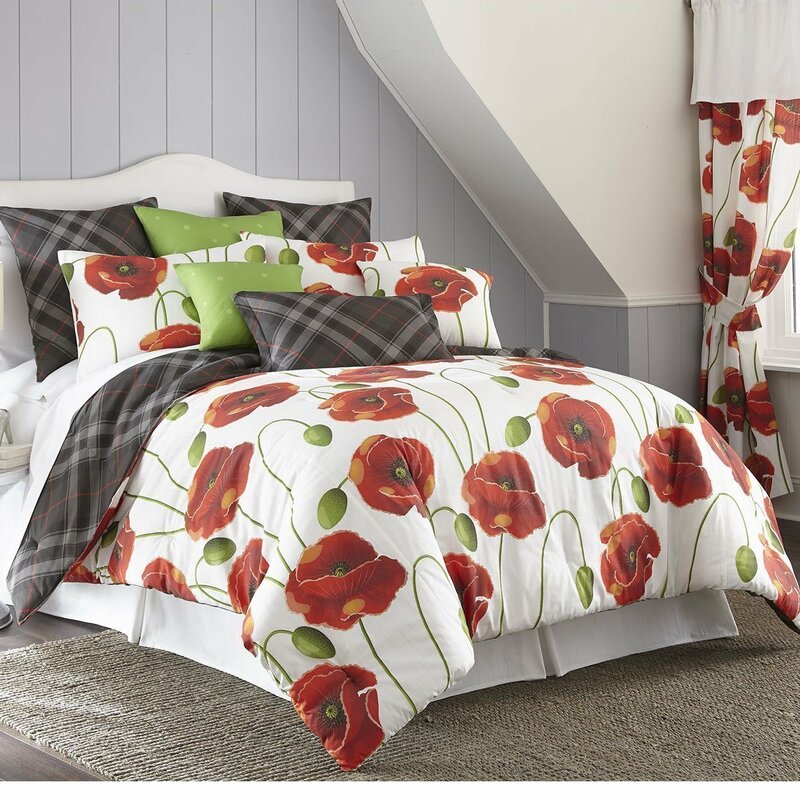 To see all of the items available in this ensemble, refer to our Colcha Linens/Poppy Plaid main page.